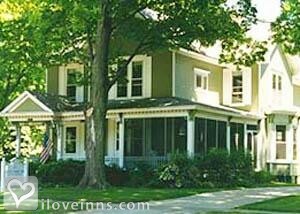 Whitehall bed and breakfast travel guide for romantic, historic and adventure b&b's. Browse through the iLoveInns.com database of Whitehall, Michigan bed and breakfasts and country inns to find detailed listings that include room rates, special deals and area activities. You can click on the 'check rates and availability' button to contact the innkeeper. If you are looking for a break away from the busy city, the old town charms of Whitehall may just be what you need. A relaxing day at the White Lake Municipal Marina is always a fantastic way of spending summer alone or if you are with your family. The park, which is maintained by the city government of Whitehall, offers a number of summertime activities like boating, fishing and biking trails. Whitehall bed and breakfast features a number of attractions like a walk to community parks or a day tour of the beaches of Lake Michigan. Whitehall is also known for its quaint but attractive location at the mouth of the White River. When in Whitehall, take a leisurely walk down to the Howmet Playhouse, a 400-seat theater for community plays and productions. Whitehall also hosts a number of cultural festivals like the White Lake Maritime Festival and the White Lake Area Arts and Crafts Festival. By White Swan Inn.